Jean Francois: "Her? I don't know. Sorry." 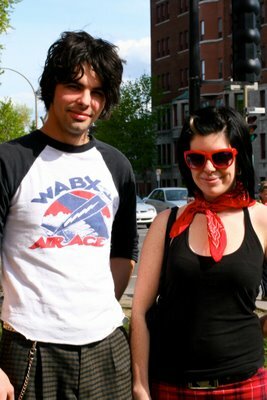 I like how well they complement each other, both patterned bottoms and accents like her red Wayfarers and red neck scarf. They are really cute love his cutoffs and her skirt trim. How cute! 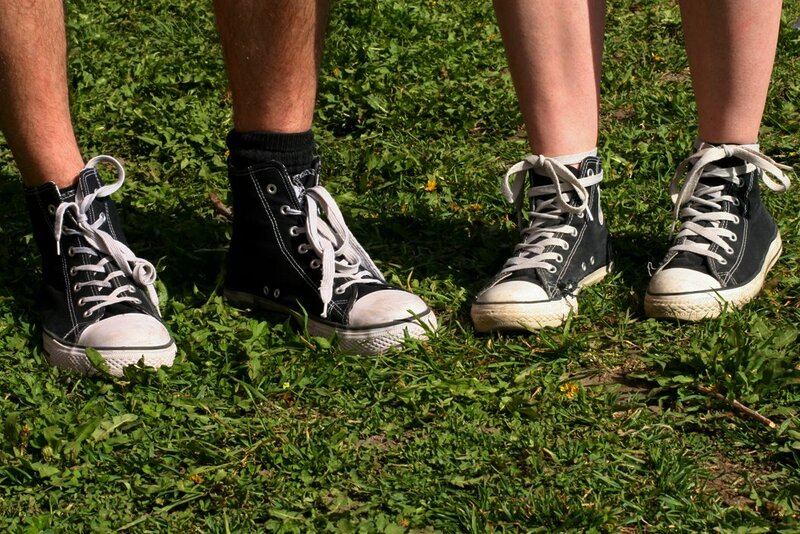 I just did an ode to Chuck Taylors b/c I love them!